In a large bowl, combine starter, sugar and salt. Add flour a cup at a time, stirring as much as you can with a spoon, until firm enough to handle. Add remaining flour by hand, kneading until dough is no longer sticky. Place dough in a warm bowl, cover and allow to rise until doubled - this may range from a couple of hours to 4 or more. Punch down, form into a round shape and let rise a second time until doubled. Bake in a preheated oven at 350 degrees, for 45 minutes. 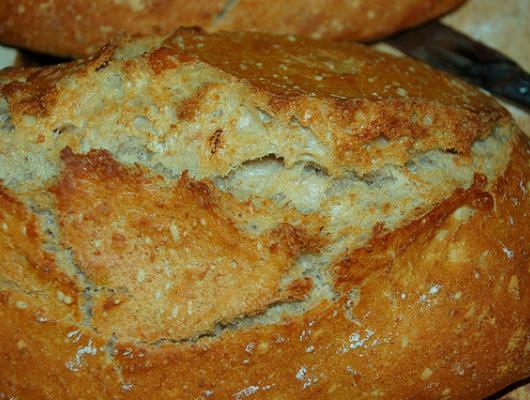 Sourdough is the Grandaddy of breads. 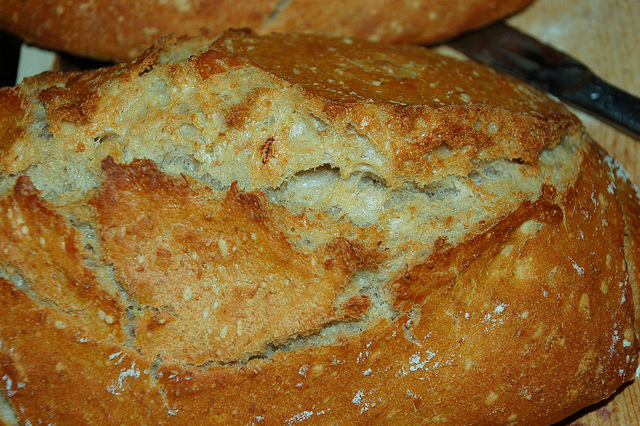 I have used my sourdough as the only leavening, and it tastes wonderful, but can take hours. To speed this up, add 2 1/2 tsp yeast to the mix.